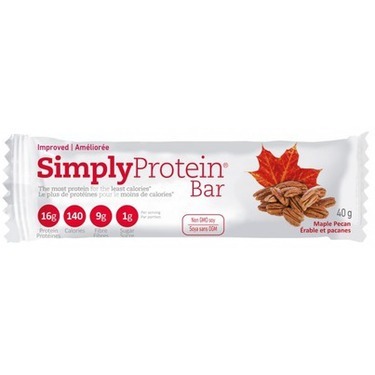 SimplyProtein® Bar has the most protein for the least calories and fat compared with leading natural foods bars. Since there are no junk ingredients, this bar is light and crunchy and will fill you up without weighing you down. 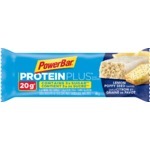 Keep this bar nearby when you are travelling, get an unexpected craving or need nourishment before or after a workout. SimplyProtein® Bar is suitable for dieting, diabetics, celiacs and athletes. All of our products contain more fibre than sugar! SimplyProtein® Bar satisfies hunger for over 3 hours. I was a bit disappointed with the taste of this protein bar, as to me personally, it did not taste much like chocolate, or peanut butter. When I first bit into it, I found this protein bar to taste bitter. Secondly, I did not really care for the crispiness either. I much prefer a protein bar that is moist, rather than crispy. 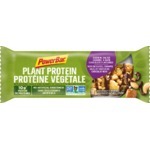 I did like that this protein bar contains 15 grams of protein, 150 calories, 7 grams of fibre, and 1 gram of sugar. In addition, it is made here in Canada. This bar is so good. It's great as a snack, it's packed with protein and isn't high in sugar like other protein or granola bars. It's a bit on the expensive side but calorie and protein wise as well as taste it's pretty good. I just tried this product for the first time a few weeks ago! It is so difficult to find a protein bar with 1g of sugar!!! Its low in calories and has a decent amount of protein without compromising taste! Im impressed! Ive tried the chocolate coconut bar and the chocolate peanut butter and both are tasty. I just wish there were more in a box! I wasn't a big fan of the Simply brand of protein bar. They aren't very flavourful and I wasn't a fan of the texture. The price is comparable to other protein bars. Simply Protein bars are always in my purse for the times I need something to tide me over until the next meal. They are tasty, packaged just right and the perfect size. I love all the different flavour. I have travelled all over the world with these bars and won’t leave home without them. If you are looking for sweet, candy bar tasting "protein" bar, this is not for you. Simplyprotein bars contain only minimal sugar level (I believe less than 5g per bar) so this is not to fix your sugar craving. However, this is great if you want to keep your blood sugar level at bay. (To me they are sweet enough to enjoy.) 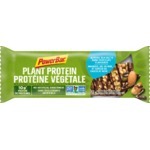 It has great nutritional value and contains fairly low calories compared to other protein bars out there. Peanut butter is my favourite flavour so far. Une des meilleures barre protéinée que j'ai gouté! Délicieuse au goût et texture légère! J'aie beaucoup le bas taux de sucre et le haut taux de protéine. Plusieurs variétés sont disponibles. The best I've found on the market! Disclaimer: I'm not an expert lol! 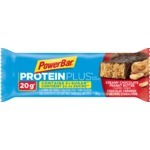 Just been searching for the perfect protein bar and right now, this is it! These deserve a MUCH higher rating than #8! Compared to some other "protein" (candy) bars that rank above them, these are flawless! Other bars are deceiving, containing tonnes of hidden sugar and undesirable ingredients. This bar is different. It's low-cal - not the lowest on the market but when it comes to protein bars, calories are the biggest concern. The babies are LOADED with 15 grams of protein and 7 grams of fiber, which is about 30~ of your daily value! Best of all, they only contain 1 gram of sugar. They taste good and have a wide variety of flavours. I took off one star for taste because of the texture. While you could compare it to a rice crispy, it's somewhat gritty and falls apart a little - which could be a bit off putting. If you're not too picky about that, I definitely recommend these bars! The product is good. It has a good taste hut I found the texture gritty so jot so pleasant. I am not sure f I would buy it again. Not overly impressed.